Everything that makes a show at the Sokol Auditorium fun was on full display at Saturday night’s A$AP Ferg show: a high energy crowd, an abundant amount of people smoking throughout the venue, every Post Malone lookalike in the tri-state area, and an Amazonian level of moisture in the air. The Harlem rapper, born Darold D. Brown Ferguson Jr., lit up the stage for a bombastic set that left the crowd delirious. Though the set was short (barely over 90 minutes even with openers) almost everyone there (sans the folks that pre-gamed a bit too hard) had the time of their lives. “This my first time in Nebraska man, and y’all motherfuckers really turnt up,” said Ferg appreciatively. And indeed the members of the crowd were. Though there was certainly no shortage of energy throughout the show, the first half was unquestionably slower. Tracks like the “Nandos,” “Mad Men,” and “The Mattress,” acted as a primer for the bigger hits to come. 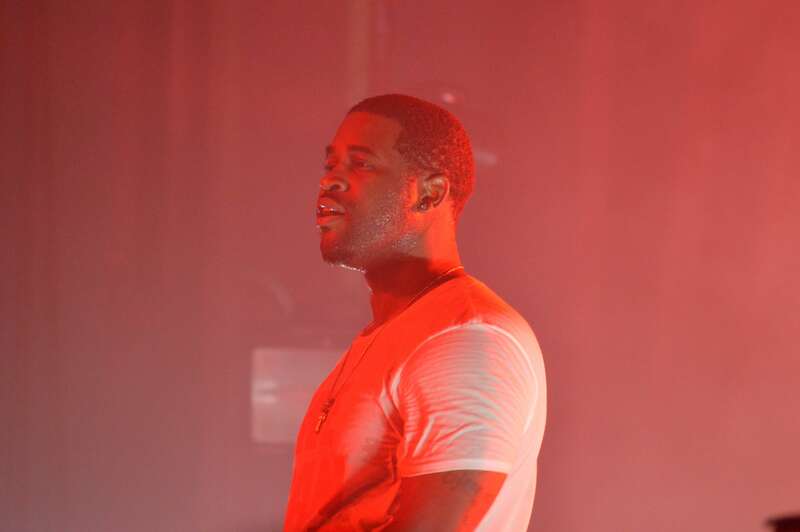 Additionally, the songs in which Ferg dabbled in some electronic textures and R&B, most notably on his 2016 album Always Strive and Prosper, were dropped in favor of the bangers (bangerz?) that crowd was looking for. Before kicking into his signature songs, he started with one from another hip-hop great. After professing his love for the west coast, Ferg performed an abbreviated version of Tupac’s “California Love” before jumping into “East Coast,” his collaboration Remy Ma. Migos ended their Stir Cove set by saying something similar when they were in town nearly two months ago. However, they showed up more than an hour late and made the crowd wait on the sidewalk as they sauntered around outside their tour bus after the show. As I walked out of the concert on Saturday and made my up along the side of the venue I saw Ferg dapping up a group of fans and appreciatively smiling at another group across the street. It was a small gesture, but it certainly makes the makes Harlem’s “Trap Lord” seem like a truly benevolent ruler.